Micro-Epsilon India Private Limited has now settled in Pune, which is the ninth largest city in India and only two hours from the capital city of Mumbai. A city of five million inhabitants, Pune forms an industrial center for the automotive industry, light industry, software development and machine building. Other parts of the country can be easily reached and consulted from there. The new branch in Pune will primarily service existing and new customers in the region. 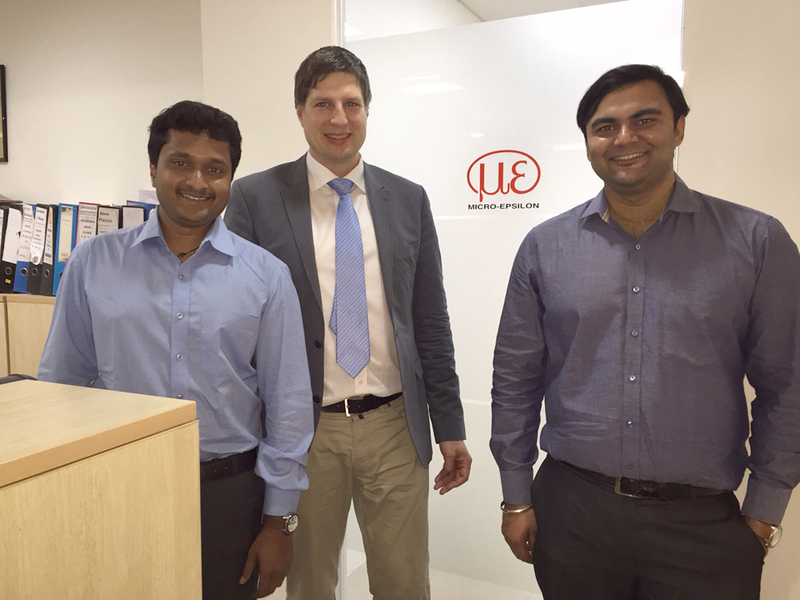 Trained in Germany, the sales engineers offer customers first-class support, establishing the presence of Micro-Epsilon in the emerging Indian market. The sensor technology company focuses on the implementation of advanced technology into high precision measurement technology for customers in machine building, automation, automotive design, electronics manufacturing, and research and development. In particular, the diverse product portfolio of the company will have a positive effect on establishing a foothold in the Indian market. Micro-Epsilon offers mechanical, electromagnetic and optical sensors, as well as measurement systems for displacement, position, temperature and color, including a range of Ethernet-capable measurement systems. Alongside Micro-Epsilon China, the Indian subsidiary is the second Asian subsidiary out of 10 foreign representatives of the family-run technology company based in German Ortenburg.